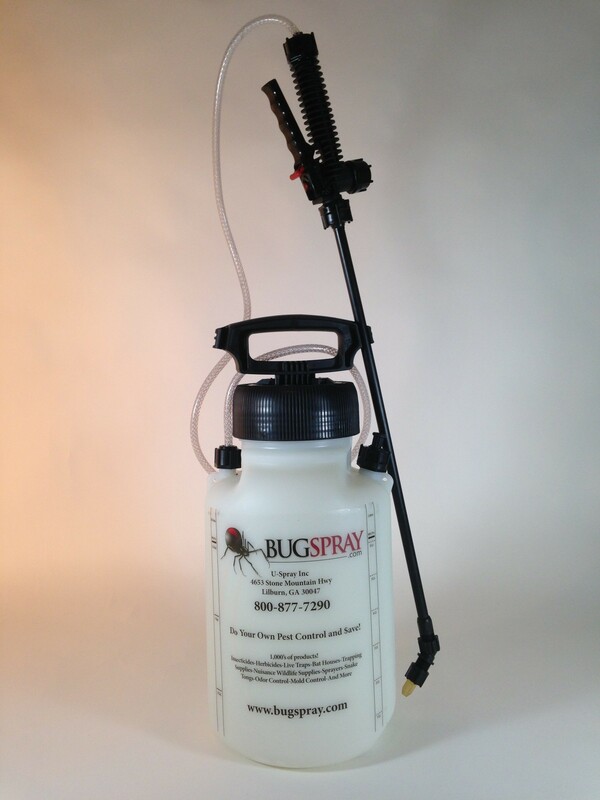 SOLO 1 GALLON HEAVY DUTY SPRAYER: This is our 1 Gallon Private Label built to our specifications. We have Solo build these and when it comes to quality, their German craftsmanship is second to none. This model includes an adjustable brass nozzle, a check flow filter located at the nozzle which prevents dripping when the valve is shut off and a relief valve located on the top of the tank. The heavy duty poly tank is both UV protected and thick enough to withstand a lot of abuse (and up to 200 psi of pressure). 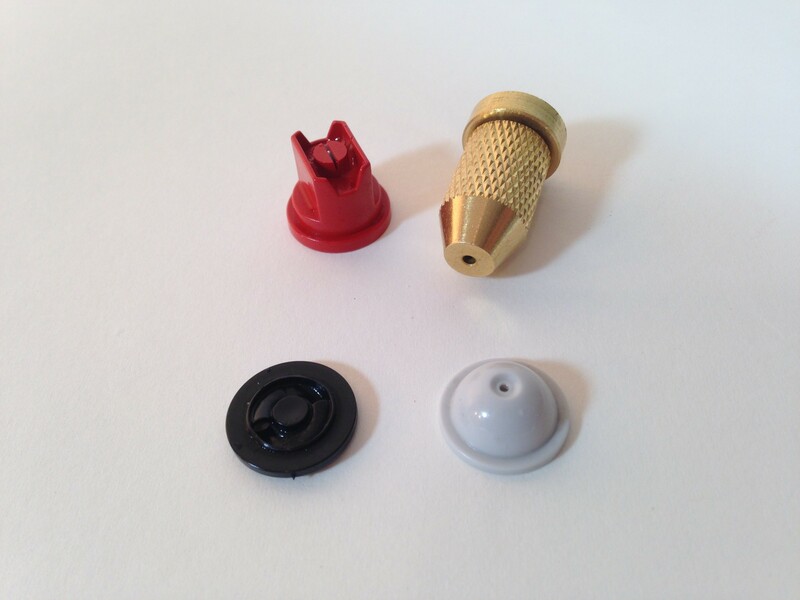 It comes with a fixed pin stream tip, a fixed fan pattern tip and a cone jet in addition to the the adjustable brass nozzle. 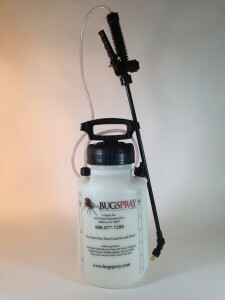 The spray wand is extra long, very durable and the spray handle features a "lock on" setting for continuous spraying. The handle is very comfortable in hold and operate and top of that, easy to service and repair. This sprayer is great for most any application in and around the home and can be used to apply just about any of our products. I need a replacement sprayer handle for the Solo 1 gallon sprayer because it leaks on my hand, but I can't find any parts list here. Where's the parts list? Great sprayer! Hooked it all up yesterday and tried it out with water. We're able to shoot liquid all the way up to the peak of the second floor of our cabin. Tonight we'll fill it with Cypermethrin and soak the cabin logs. Hopefully we will discourage wasps, hornets, carpenter bees, stink bugs and lady bugs. (Or is this too much to ask??) We'll see what happens. The unit is very well built and meets my criteria of heavy duty. My only issue is that it is difficult to make a good seal when attaching the top. It takes all my effort and even then if I pump it up well, it still leaks a little. I'm hoping that I will get the hang of it. I wish there was an easier way to tighten it. The pressure relief valve and the hose connection get in the way when tightening. No doubt the pump can be a bit tough to seal on the tank body. Unfortunately this is part of the design. Over time, this will loosen and be easier to handle. But there is a way to make it more manageable to start and easier to secure. So to help allow the pump to seal with less effort, use some white grease or vaseline to lubricate the seal and the tank. Do this by first removing the pump assembly. Next, use a liberal amount of grease or vaseline on the threads of the tank body where the pump aseembly fits. Be sure to rub it into the grooves of the sprayer neck so its all lightly treated. Next, place work some into the threads of the pump assembly. Now try securing the pump to the tank and then remove it. Do this twice before actually using it. Each time you tighten it up, the lubricant will make its way into all the gaps and spots that might otherwise cause friction. This should help allow the pump to seal with less force. Moving forward, every time you remove and replace the pump, it will continue to get easier to seal. I have owned my sprayer for over 10 years now and I think it took over a year for it to become what I would call "normal" and easy like most sprayers. But because it fits so tight, it can still seal well even after all these years. No doubt this happened because initially it was so tough to seal. I feel the quality of construction of this sprayer is worth every penny. My only complaint is that the material is so thick on the container that it makes it harder to see the level of fluid inside vs a thin walled cheaper model. Someone mentioned problems with the lid sealing, I have had no issues with leaking around the lid and I am not doing anything different in my tightening/closing procedure. I don't even torque it one bit. The blow-by valve works exactly as it should. I have had issues with those on cheaper models as well, not holding pressure or releasing too soon/won't stay down. The fan spray pattern is exactly what I needed and it covers extremely well. You could even paint with this thing.